Knowing whether you carry inherited cancer risk genes can help you to make the best decisions for your treatment and for your family. The genes you inherited from your parents can play an important role in determining your risk for developing prostate cancer. Research led by Prostate Cancer Foundation (PCF)-funded investigators and others have identified several inherited genes that drive the development of not only prostate cancer in general, but more aggressive forms. These genes can also cause breast, ovarian, and other cancer types to run in a family. Several commercial tests are available that look for mutations in multiple cancer risk genes including those most important in prostate cancer. However, clinical guidelines are needed to create best-practices for identifying and managing patients with hereditary prostate cancer. In 2017 a special conference was held with 71 prostate cancer experts and patient advocates, including representatives from PCF, to hammer out consensus recommendations for evaluating prostate cancer patients for inherited cancer risk genes. Guidelines addressed genetic counseling, testing, and how to use genetic information to manage screening and treatment. Clinicians are encouraged to use these guidelines, which were published in the Journal of Clinical Oncology, to improve care of prostate cancer patients. So what should patients know? First of all, if prostate cancer, breast cancer, ovarian cancer or Lynch syndrome (which most commonly manifests as colon cancer at a very young age) run in your family, you may carry inherited cancer risk genes and should talk to your doctor about genetic counseling and testing. These familial cancers could be caused by inherited mutations in genes including HOXB13, BRCA1/2, ATM, and DNA mismatch repair (MMR) genes. Next it’s important to note that in about half of advanced prostate cancer patients who carry inherited cancer risk genes, there was no previously known indication of family risk. Because these mutations are more common amongst men with more advanced stages of prostate cancer, all men with metastatic castrate resistant prostate cancer are encouraged to get genetic counseling and testing, regardless of family history. In addition, men whose tumors have been sequenced and found to have mutations in cancer risk genes should also be tested to determine if any of these mutations were inherited. Armed with this knowledge, patients will be able to inform their families that they too might carry inherited cancer risk mutations and should seek genetic counseling to determine risk for prostate, breast, ovarian, and other cancers. Early screening and other recourses should be considered for family members found to carry cancer risk genes. For unaffected men found to carry inherited mutations in HOXB13 or BRCA2, the consensus panel recommended screening for prostate cancer with prostate-specific antigen (PSA): a substance produced by the prostate that may be found in an increased amount in the blood of men who have prostate cancer, benign prostatic hyperplasia, or infection or inflammation of the prostate. PSA testing starting at age 40 or at least 10 years prior to the youngest prostate cancer diagnosed in the family. Men with BRCA1 mutations should begin PSA screening at age 45. Precision medicine clinical trials have found that some of these mutations sensitize tumors to certain treatments. Prostate cancer patients found to carry BRCA1/2 or ATM mutations should talk to their doctors about precision medicines that may benefit them. Finally, the experts agreed that for these guidelines to have the most positive impact possible, patients need to be engaged in shared decision making for genetic testing for prostate cancer. Patients need to be properly educated on the benefits, risks, limitations, implications, and costs of genetic testing for them and their families so they can make informed decisions that align with values and preferences. Talk to your doctor if you think any of the information in this article may apply to you. 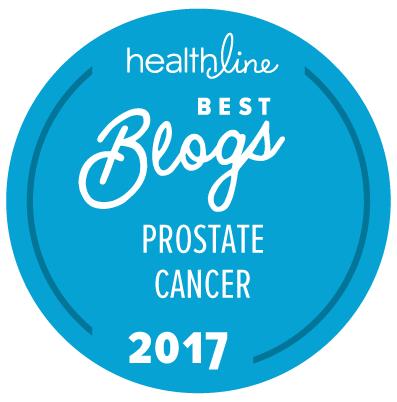 Editorial note: This commentary was originally written by Andrea K. Miyahira, for the Prostate Cancer Foundation (PCF), and it first appeared on the PCF web site on December 15, 2017. It is reproduced in full here with the kind permission of PCF. Dr. Miyahira has a PhD in cancer immunology, and is Manager of Scientific Programs at the Prostate Cancer Foundation. Since genetics and genomics are such a new a fast-moving area of cancer science, I think “genetic counselors” are becoming medical professionals that we need to consult. A good genetic counselor may be hard to find … but it is likely that patients will have to research it themselves, or bring up the question with their doctors. The National Society of Genetic Counselors has a web page where you can search for one in your area.